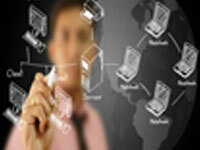 JR-Tech offers a variety of solutions that will maximize your business’s IT to it’s full potential. 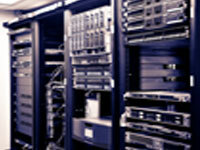 A proper network infrastructure design is crucial to any business that maintains a IT presence. Through JR-Tech, the network infrastructure will be planned to the necessary capacity that a balance of efficiency, speed, security, and accessibility will be maintained. Business servers are crucial in the business world today for companies that require the accessibility, functionality, and security of data. Each business server is customized to the necessities that are required and designed to perform optimally in each environment and execute all required responsibilities. Whether you are upgrading, migrating or simply starting out with a new business server JR-Tech has the solution that will fit your business needs. Workstations are essential and used in the daily operation of any business or enterprise. Workstation solutions provided by JR-Tech are personalized and tailored to the needs of each location and will sustain the productivity that is required for maximum efficiency. 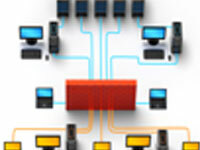 A firewall is the necessary part of any business network infrastructure. It creates a secure and reliable prevention to outside intruders and unauthorized access to information and data used in the business and enterprise. The firewall systems created or implemented by JR-Tech guarantee proper network access while safeguarding the accessibility, reliability and privacy of information. Many forms of attacks on businesses today could have been prevented had a form of security been used to maintain protection on the information technology. With JR-Tech, each security measure is implemented to support your business and will protect against the various methods viruses and malicious software will try and penetrate the system. 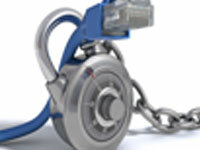 Many businesses today do not have a formal backup or disaster recovery plan. If and when a disaster occurs these businesses might not be able to recover in sufficient time to operate after the unforeseen downtime. Having a backup and recovery system will not only save time and money but will reduce downtime in the event that a disaster happens, or a complete server failure. 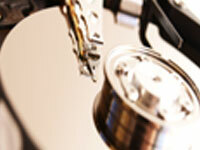 JR-Tech provides the solution for backup and disaster recovery.